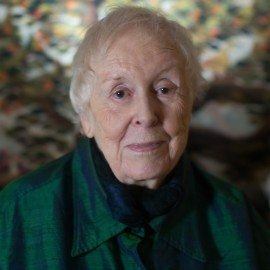 Liza Picard was born in 1927, in Essex, where her father was the local GP. He was a first-generation immigrant from Scotland, and she still claims Scottish roots when it suits her. 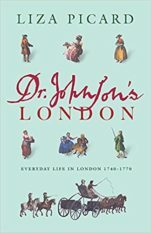 She read law at London School of Economics, and was called to the bar by Gray’s Inn in 1949. She never practised at the bar, but after various jobs, including a spell in East Africa in the Colonial legal service, found a job in the Solicitor’s Office of the Inland Revenue. This was meant to be a temporary expedient, but it lasted until she retired in 1987. 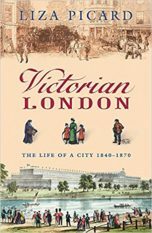 Only then did she begin to write the kind of social history books that she had been trying to find: books that described the everyday life of ordinary London people – if people are ever ‘ordinary’. 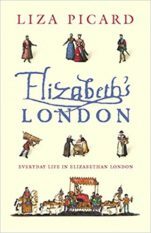 Liza is the author of four highly successful, best-selling and critically acclaimed books about London’s history, Restoration London (1997) and Dr Johnson’s London (2000), Elizabeth’s London (a Sunday Times bestseller) and Victorian London, all published by Weidenfeld in the UK and St. Martin’s in the US. 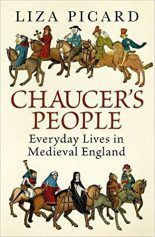 In her latest, Chaucer’s People (2017), published by Weidenfeld, she uses the characters in the Prologue to Chaucer’s Canterbury Tales as ‘hooks’ on which to hang a vivid description of English life in the fourteenth century. 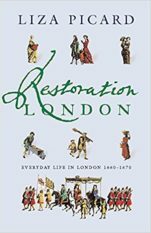 Peter Ackroyd describes her writing as ‘absorbing and revealing in equal measure’.